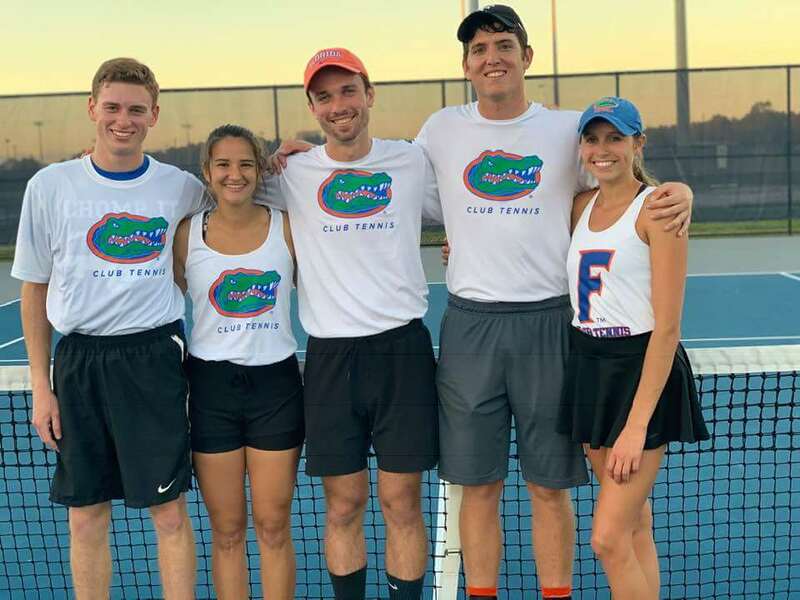 The University of Florida club tennis team won a third consecutive title on the Florida “Tennis on Campus” circuit when the UF-“A” team beat the UF-“B” squad 28-17 in the Gold Bracket final of the UNF Swoop the Nest tournament hosted by the University of North Florida on Jan. 12, 2019 in Jacksonville, Fla. In the semifinals the UF-“A” squad defeated the Florida State University-“A” team, and UF-“B” beat the UF-D team. The Florida Gulf Coast University-“A” team won the Silver Bracket, defeating the University of North Florida-“B” team 27-18 in the final. The next event on the 2018-19 USTA Florida ‘Tennis on Campus’ schedule will be the UF Gatorbowl on Feb. 2 in Gainesville.